Throughout the country, the climate is hot and tropical, with the rainy season between May and October when temperatures are at their highest, up to 35°C. The weather is very similar to that of northern Vietnam. The dry season runs from November to April, which is the best time to visit as the temperature is at its most comfortable. However, the mountainous areas can be very cold at this time, down to around 5°C. Across Asia the annual monsoon is becoming ever more difficult to predict, possibly as a result of global warming. This plays havoc with farming and occasionally travel plans too. As a guide, the average rainfall in the capital Vientiane is about 1,700 mm, although in the north of Laos and the highlands it is far wetter, with more than 3,000 mm each year. Lightweights and rainwear, with warmer layers from October to March and for upland areas. If you come during the monsoon summer months, bring lightweight waterproofs, an umbrella and some leech oil for trekking. Bring a swimming costume for hotel swimming pools too. Laos is a landlocked country encircled to the north by China, to the south by Cambodia, Vietnam to the east, to the west by Thailand along with a 235km-long (146 miles) Mekong River border with Burma. Apart from the Mekong River plains, along the border to Thailand, the country is mountainous, particularly in the north, and in places is densely forested. The western border is demarcated by the Mekong River – which along with the tributaries covers about 20% of the land mass. 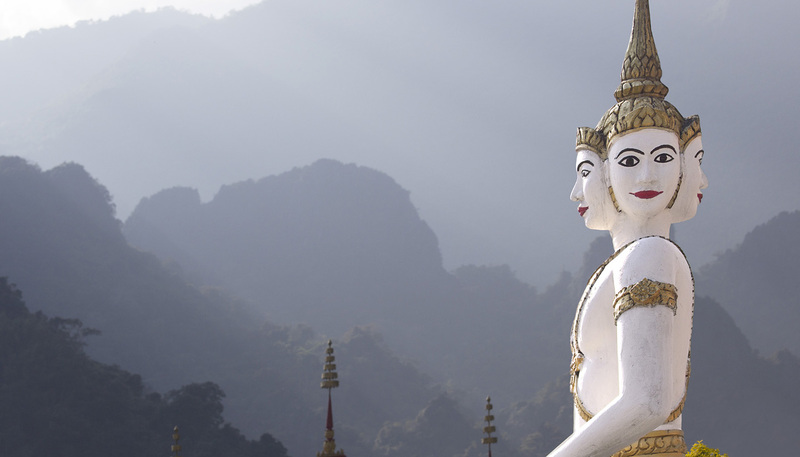 Laos is mainly mountainous, with steep terrain, tapered river valleys. The mountains stretch across the north, except for around Vientiane and the Plain of Jars in Xiangkhoang Province. These mountains are sparsely populated by tribal minorities who traditionally have not acknowledged the border with Vietnam any more than lowland Lao have been constrained by the 1,754km (1,090 miles) Mekong River border with Thailand. Thus, ethnic minority populations are found on both the Laotian and Vietnamese sides of the frontier. Because of their relative isolation, contact between these groups and lowland Lao has been mostly confined to trading. Migration and conflict have affected the ethnic structure of the country and to the geographic distribution of its ethnic groups.